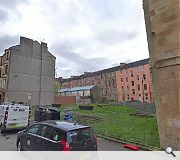 Vacant ground at Westmoreland Street, Govanhill, formerly occupied by the 1920’s Hampden Picture House, and latterly used as a community park under Glasgow’s ‘Stalled Spaces’ initiative could be filled with 16 new homes. 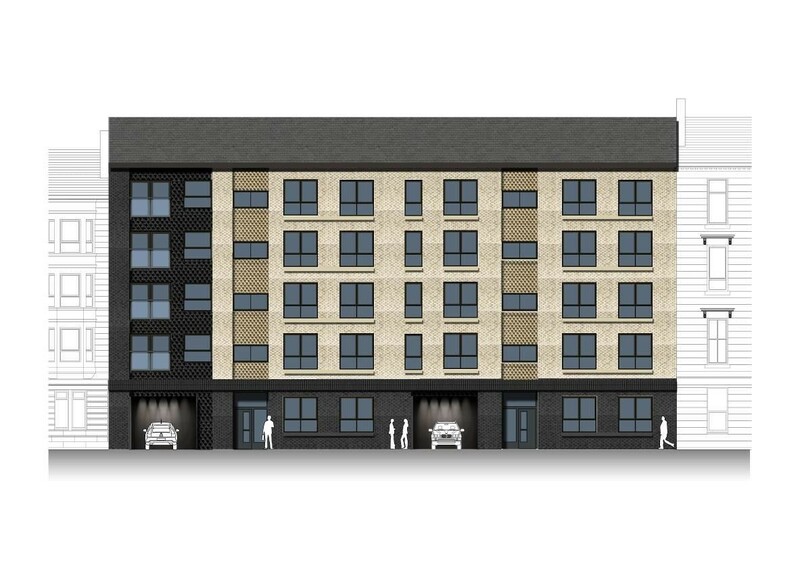 A five-storey infill block is proposed offering parking at ground level and a landscaped amenity deck at first floor, proportionately in keeping with neighbouring tenements. 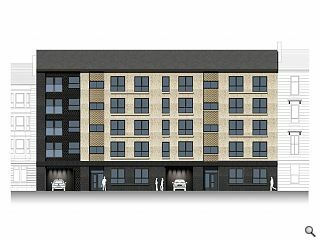 In a design statement Sondh Associates wrote: “In its visual appearance, the development had to strike a fine balance between the vernacular character of the surrounding area and contemporary design trends, respecting the aesthetics of traditional tenements without looking as a gimmick. Alternative brick bonding will be employed to add ‘texture’ to the front elevation with an extruded brick pattern used to highlight areas between stairwell windows and French balconies.